LOS ANGELES (AP) — A magnitude-4.2 earthquake and aftershocks rattled nerves across the Los Angeles region Thursday, but there were no immediate reports of damage. Artist’s rendering of size comparisons. 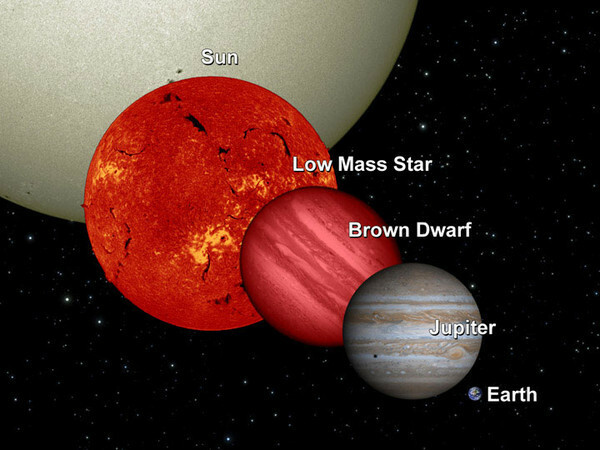 Astronomers have hunted the skies for Y dwarfs, the coldest members of the brown dwarf family, without success until data from NASA’s Wide-field Infrared Survey Explorer revealed the faint glow of six such orbs within a distance of 40 light years from our sun. Unlike stars that burn steadily for billions of years, Y dwarfs fade and cool due to their low mass and inability to fuse atoms at their cores. These dwarfs hold a temperature about the same as a human body. Facial recognition technology has become more advanced, and it’s increasingly popping up in two realms: law enforcement and commerce. Earlier this summer Facebook rolled out facial recognition software that identifies users even when they appear in untagged photos. Like every other time the social networking site has introduced a creepy, invasive new feature, they made it the default setting without telling anyone. Once people realized that Facebook was basically harvesting biometric data, the usual uproar over the site’s relentless corrosion of privacy ensued. Germany even threatened to sue Facebook for violating German and EU data protection laws and a few other countries are investigating. But facial recognition technology is hardly confined to Facebook — and unlike the social networking site, there’s no “opt-out” of leaving your house. Climate change may trigger a surge in asthma-related health problems in children and more emergency room (ER) visits in the next decade, according to a new study.Mount Sinai School of Medicine researchers found that the changing levels of ozone could lead to a 7.3 percent increase in asthma-related emergency room visits by children, ages 0-17.Lead researcher Perry Sheffield, MD, Assistant Professor of Preventive Medicine, and her colleagues used regional and atmospheric chemistry models to reach its calculations. 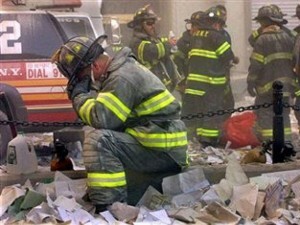 Many of us read with both astonishment and anger recently that 90,000 firefighters, peace officers, construction workers and volunteers — including those who ran toward the burning buildings during the Sept. 11 attack to rescue survivors — will not be allowed at the 10-year Ground Zero Commemoration. Of course, presidents Barack Obama and George W. Bush will be present to make big speeches in front of the cameras, as will politicians from New York, New Jersey and Connecticut. Worse, according to the Huffington Post, emergency responders who do not go through a terrorism background check would be denied treatment for cancer and other ailments under the James Zadroga 9/11 Health And Compensation Law. LAGOS — At least 102 people were killed when a dam burst in torrential rain and flooding in southwest Nigeria, a local Red Cross official told AFP Wednesday. “The death toll for now… is 102,” said Umar Mairiga, disaster management coordinator for the Nigerian Red Cross Society. 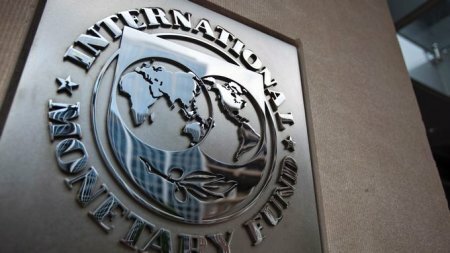 BRUSSELS — The International Monetary Fund has estimated European banks could face a capital shortfall of 200 billion euros (US$287 billion), a European source said on Wednesday. The figure has prompted a fierce response from European officials who said the analysis was misleading, according to the Financial Times. The newspaper, citing two officials, said the 200 billion euro figure was one estimate of the impact of marking sovereign bonds to market.